When it comes to a keen sense for talent, creativity and style, few can argue with Simon Cowell’s success. The television and music industry mogul has helped launch the careers of dozens of entertainers, while his brutal honesty has made him a household name in America. Amazingly, his sense of style and panache extends far beyond the entertainment industry, into the realm of the world’s newest and largest luxury yachts, as witnessed by Cowell’s own show-winning vessel, motor yacht SLIPSTREAM. We first introduced you to American Idol Simon Cowell motor yacht SLIPSTREAM at the 2009 Genoa yacht show. Built by France’s CMN Shipyard, their largest yacht to date, Simon Cowell’s yacht SLIPSTREAM is one of the chicest crafts on the water. Cowell’s yacht décor is a super-stylish mélange of modern and nautical, taking full advantage of the yacht’s panoramic windows. The vessel’s interiors are finished in a neo-Art Deco style combining dark ebony joinery and red leather paneling. The sun-deck is fitted with a spa, sun-pads, bar with BBQ, and al fresco dining area, and the yacht comes equipped with a cutting-edge home entertainment system including video on demand and a satellite communications center. Like her owner, most often seen wearing a crisp, black T-shirt, the yacht presents a dramatic appearance with her gleaming black hull. 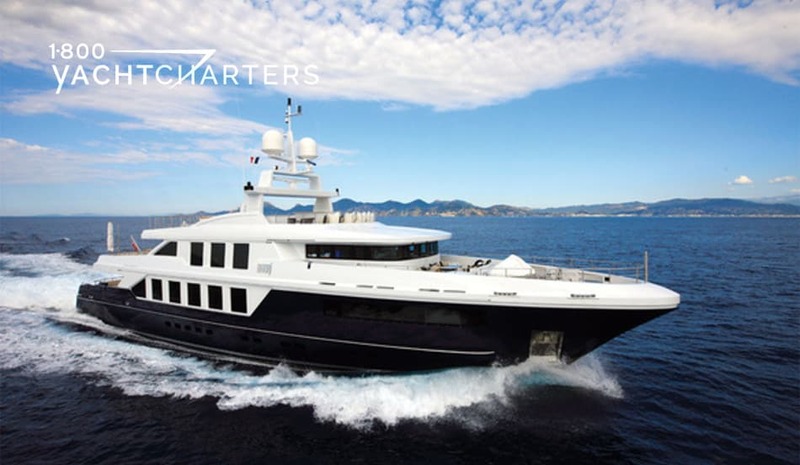 With room to accommodate up to 14 Guests, and 200 square meters of outdoor decks, expect to see this vessel hosting fellow entertainers and celebrities at events like the upcoming Cannes Film Festival 2011 and the Monaco Grand Prix. 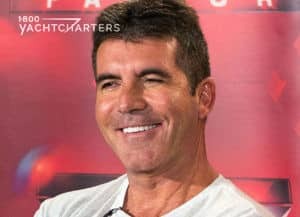 Cowell and his U.K.-based production company, SYCO, produces the BAFTA Award-winning show, The X Factor, which has topped the charts in England. He also produces and judges Britain’s Got Talent. Of course, here in the states he is best known for starring in American Idol for 9 seasons, and for serving as executive-producer of America’s Got Talent. In a strange twist, the man who professionally judges style and talent saw his beloved superyacht placed before a jury of judges. In October 2010, Cowell’s yacht won the prestigious ShowBoats Design Award for Best Exterior Design & Styling. Prices onboard Simon Cowell’s yacht SLIPSTREAM begin at 315,000 Euros per week. 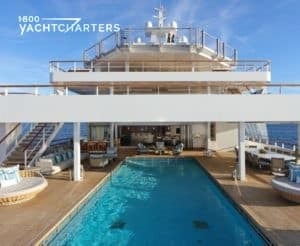 To reserve prime yacht charter season dates in 2011, please click https://www.1800yachtcharters.com/book-now-contact-us/ and contact us now. Often overlooked by travelers considering a Caribbean yacht charter, Antigua is nothing short of a boater’s tropical paradise. Its south and west coasts are cruising treasures, and the island has more scenic and sheltered anchorages than most Caribbean destinations. The island’s English Harbour first served as a British naval base in the 1600’s. The base and its nearby forts protected Antigua’s lucrative sugarcane production. Sailing into English Harbour is truly memorable. The stone buildings of Fort Berkely to port and Shirley Heights high above to starboard are a dramatic sight. Sailboats and mega yacht charter vessels fill the harbour, and Sunsail operates a sailing bareboat charter base here. Cruising past the superyachts in the Harbour is breathtaking.Once you have anchored or docked in the marina, Nelson’s Dockyard, is well worth a stroll. It looks much as it did centuries ago, with working capstans and lovingly restored buildings. Restaurants, hotels, boutiques and a museum keep the area lively. If you are fortunate to visit the island on a Sunday, an afternoon barbecue atop Shirley Heights with its spectacular sunset over English Harbour should not be missed. From English Harbour, many yachts cruise along the southwest coast to Cades Reef, a beautiful spot for snorkeling. Further along the coastline is Boggy Peak, the highest peak on the island. Moving up the west coast, is Jolly Harbor. It offers a brand new marina and is surrounded by resort hotels with pools and restaurants. Helicopters tours can be arranged to fly from Jolly Harbor to the island of Montserrat, to see the remains of a volcano that recently devastated that island. If you like beaches, Antigua’s shoreline is one white sandy beach after another. Deep Bay at Hawks Bill (near a rock that resembles a hawk’s head) is another great spot for an al fresco lunch and a swim. Divers can explore a nearby shipwreck, the Andes. For onshore activity, you can visit nearby Fort Barrington, and the Grand Royal Antiguan Beach Resort. Shoppers can spend time in St. John’s – the island’s capital city. The Heritage Quay area has trendy designer shops, while the nearby Redcliffe Quay is more traditional with inviting shady patios nestled amongst restored buildings. 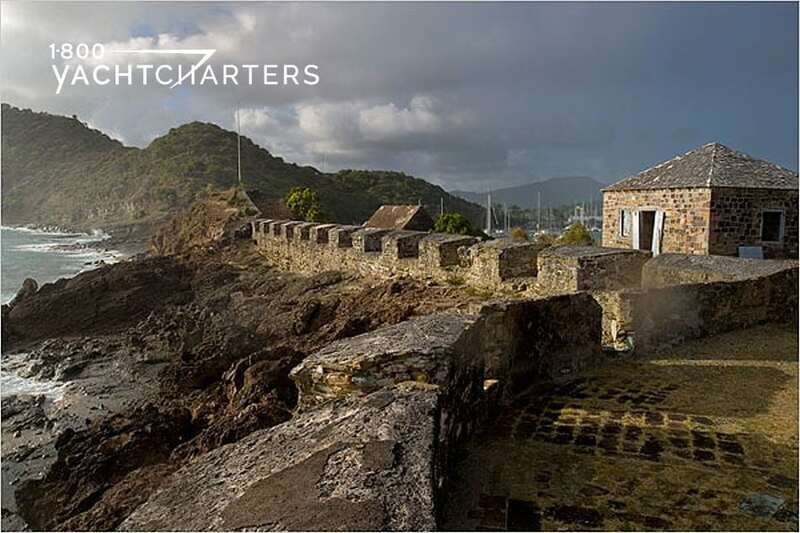 A walking tour of the city should include seeing St. John’s Cathedral and the Museum of Antigua and Barbuda. Renting a taxi is a good way to explore the island’s interior. You can visit a real sugar mill at Betty’s Hope, or take a ride along Fig Tree Drive, where you can see the round stone towers of centuries-old abandoned sugar mills. 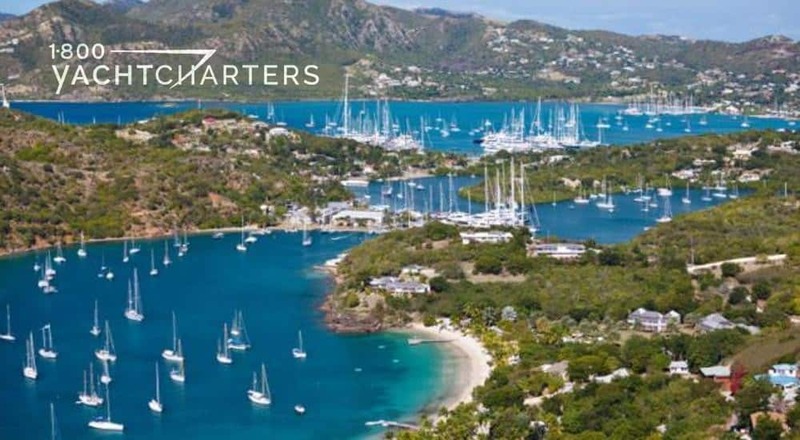 Click https://www.1800yachtcharters.com/book-now-contact-us/ to rent a private yacht in Antigua or anywhere else in the Caribbean. Presenting APACHE II. She is another Mediterranean yacht charter vessel to reposition in Cannes, France, to attend the Cannes Film Festival 2011. The 44 meter motor yacht APACHE II will probably draw as much attention along the Côte d’Azur as the celebrities on her decks. Baglietto yacht APACHE II is luxurious comfort and speed. She proves the extensive technical experience of the yard. The yacht hull and superstructure are whisper gray colored, and it is dynamic and looks futuristic. The vessel’s sleek interior provides a calm and spacious environment. She has spaces for pleasure, relaxation, and cocktail parties. Apache II features a uniquely elegant formal dining room with two extendable terraces. These terraces are on the left and right, opposite sides of the boat. With terraces extended, the width of the dining area is doubled. She provides an excellent layout for buffet dinners at special events. Her large sun deck offers 360-degree views. Guests have the best “seats” for spectator events, like Formula 1 Grand Prix races. The yacht’s lounging area features sun pads, lounge chairs, and a wet bar. We want to book your special event yacht charter for you. 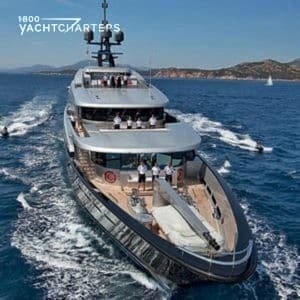 Please click https://www.1800yachtcharters.com/book-now-contact-us/ to contact us today. Each week or so, we take a look at one or two of the finalists for the 2011 World Superyacht Awards. 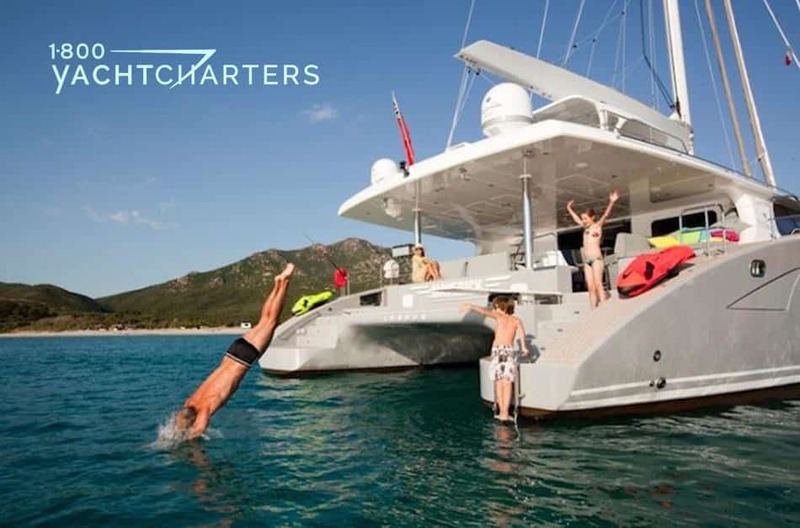 Many of the newest and largest yachts available for crewed yacht charter have been nominated. This six-deck yacht boasts more volume than most other 63-meter luxury yacht charter vessels currently on the water. Motor yacht BATON ROUGE was built by Icon Yachts, and features the exterior styling of Tim Heywood, with interiors by Redman Whiteley Dixon. The yacht offers accommodation for 12 guests in 7 large cabins. The master is situated on the main deck, while two VIP cabins are on the upper deck. Two doubles and two convertible doubles/twins are found on the lower deck of yacht Baton Rouge. The interior offers beautiful woods, leathers, marbles, and nickel and bronze details, as well as handcrafted furniture and original artwork. The vessel’s contemporary interior is considered both serene and stylish. The exterior deck areas are nothing short of expansive, and they serve as great outdoor spaces for lounging and dining. There’s an ondeck hot tub on Baton Rouge, and a dedicated sundeck which converts to a party deck, as well as a beach club lounge at sea level. State-of-the-art entertainment and communications systems exist throughout the yacht. For physical fitness buffs, there is a gym and a very comprehensive inventory of water toys and tenders. For those who want to charter a boat to Turkey for a special holiday, BUNTY (formerly, Red Anchor, Claudia of MC) is just the boat for you. She is currently available as part of the famous Benetti Yacht Charter luxury fleet in the Mediterranean. This luxury motor yacht is 37 meters (121 feet 4 inches) and exudes elegance and timeless beauty. BUNTY has a tastefully-designed interior with a very modern look and feel, and she offers spacious areas on the exterior deck where you can sunbathe and be entertained while cruising in the high seas. Water sports enthusiasts will have plenty to do aboard BUNTY, as she carries a wide selection of water toys available onboard. 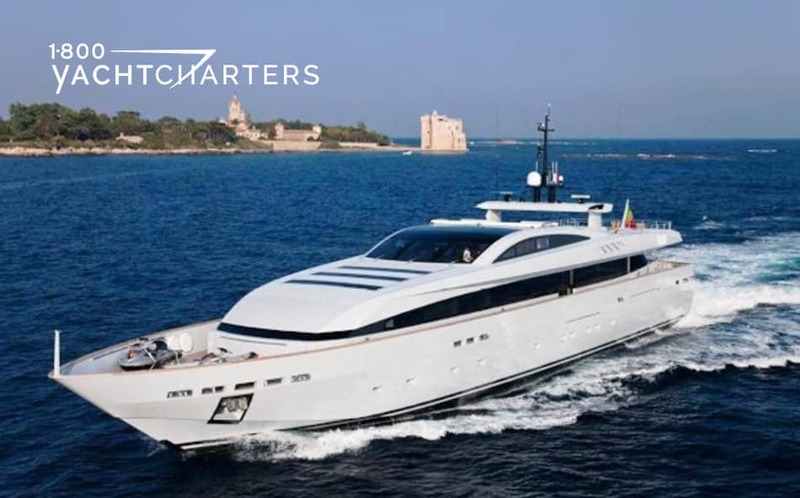 To book your private luxury yacht charter vacation aboard Benetti motoryacht, BUNTY (ex-RED ANCHOR and CLAUDIA OF MC) or any other super yacht in the luxury yacht charter fleet, click here at https://www.1800yachtcharters.com/book-now-contact-us/. Ahh…Spring – that uplifting, transitional season between winter and summer. There are many international special events for celebrities. For example, the one best appreciated from the deck of a yacht, is the Cannes Film Festival. 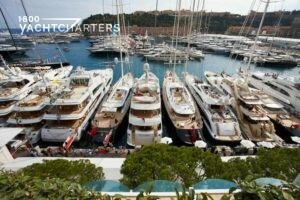 Some of the newest and largest yachts host many celebrities and VIP’s at the event. Privacy is hard to come by for celebrities in attendance. Luxurious superyachts offer discreet accommodations and security. They also offer a private venue for parties and business meetings. 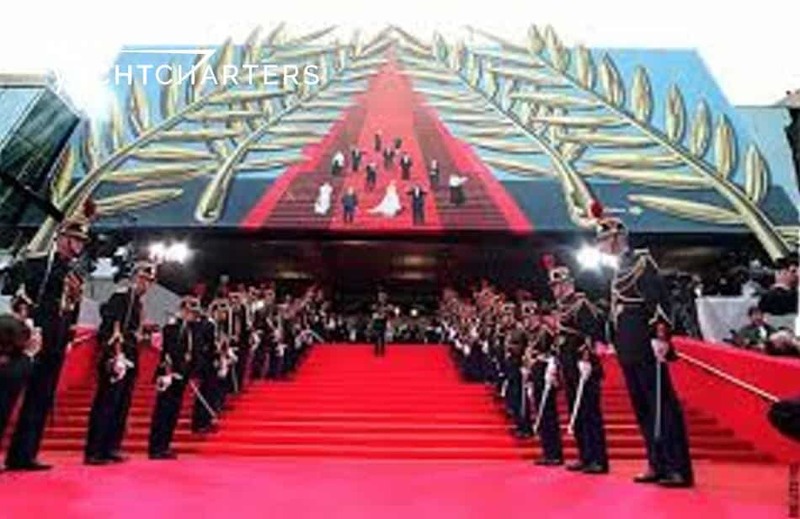 The 2011 Cannes Film Festival takes place May 11 to 22. It is a celebration of cinema. For instance, film producers and actors from around the world come to Cannes, France each year. They screen their latest projects and look for buyers and investors. IS IT EASY TO GET A YACHT FOR CANNES? Demand to rent a private yacht for a Cannes Film Festival is brisk. The main exhibition hall is directly adjacent to a large marina. For this purpose, film studios host lavish parties. Movie stars and and producers easily mingle on yachts. For more discreet meetings, movie executives and investors meet elsewhere. For example, in the comfort of a yacht’s skylounge to negotiate film projects. Finally, among yachts at the event is 54 meter motor yacht MARAYA. She has accommodations for 12 guests. Maraya offers deck space for a cocktail party of 150 guests. Her weekly rentals begin at 300,000 EUROS. In conclusion, for more information about this or any other special event, please contact us. Click https://www.1800yachtcharters.com/book-now-contact-us/ to plan your attendance.